OMG, I just found Frank! If you’ve been reading the blog over the last couple of weeks, you’ve seen that I’ve mentioned this old stuffed rabbit, Frank, a couple of times. 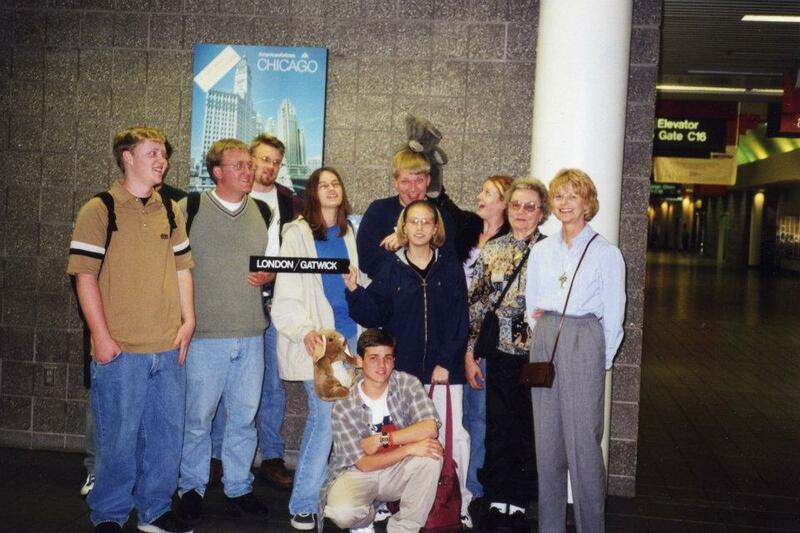 At the airport to London in May 1999. I’m holding my bunny Frank. Frank was important to me. He first arrived in my life in the Christmas of 1998. My Nana and Grandaddy gave him to me as part of my Christmas presents. I’m pretty sure Grandaddy had little to nothing to do with picking the toy out for me, and really I was too old to get a stuffed rabbit for Christmas – I had just turned 16, after all. But for some reason I really liked the rabbit. 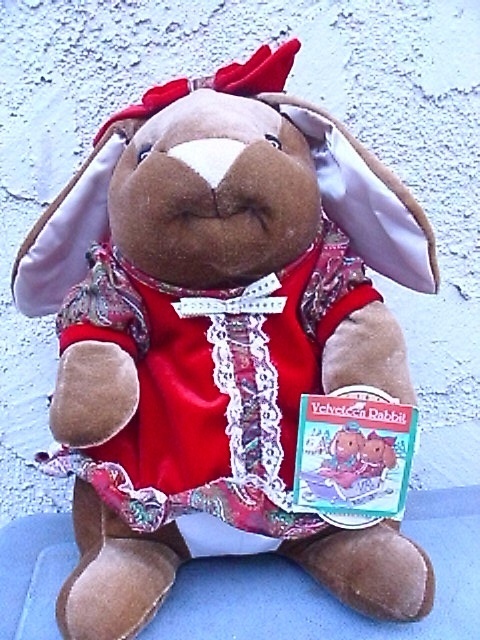 Frank was made of brown velveteen, and when I got him, he was wearing a red dress and little red bows on his ears. In other words, Frank was either a lady bunny to begin with, or was a crossdresser. I’ve never quite figured it out. All I know is that I took one look at him and knew that the rabbit was a “he.” After thanking my grandparents (especially my grandfather, whom I adored) for my gifts and going home, I quickly removed Frank’s corny holiday garb, and from then on he was just a regular old bunny. My Grandaddy died the following October, and it was really tough on me. To be honest, it’s still tough on me. I miss him terribly. Nana and I haven’t been close since he died, either, so that doesn’t help. It’s just crappy. But Frank helped me with some of the grieving process, and then went on to live some of life’s best memories with me. He went to Europe with me, visiting England, Ireland, Wales, Belgium, Germany, and Austria. 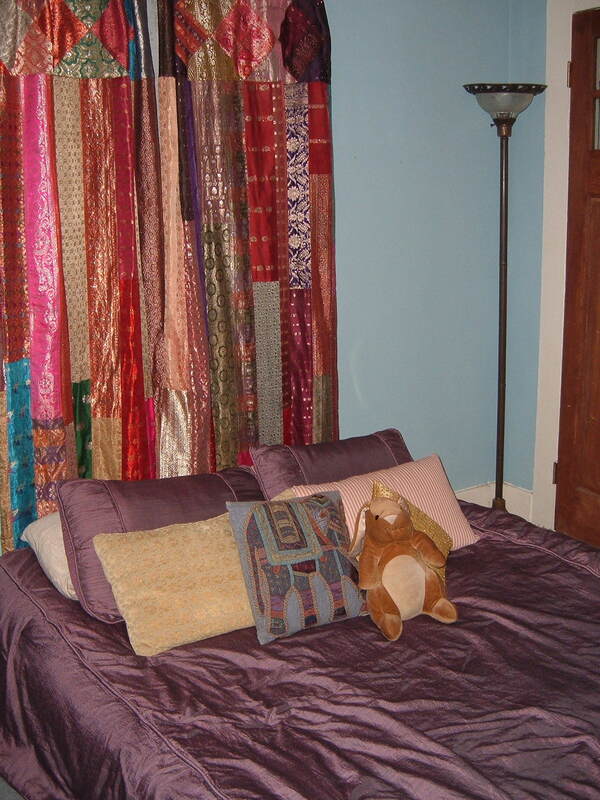 He was there in every college apartment, witnessing so many things a silly little velveteen rabbit probably shouldn’t. I needed him to sleep, even in 2005, at 23 years old. When Hurricane Katrina was bearing down on the city and I was ready to evacuate, I didn’t have that much room in the car. I packed my laptop, my cat, some clothes, and my photo albums and high school yearbook. Everything else went up on shelves and on top of counters. Frank and a few other precious things went in the top shelf of my bedroom closets, the very highest place in the house. It was the last time I saw him. I meant to be gone for a few days, and instead it was almost five months before I returned to New Orleans. My ex had broken into my house early on to get my jewelry and art, and a friend saved some of my books, but the landlord got rid of most of my belongings, including Frank. I’d asked her specifically to save him, but she insisted that she didn’t see him when she was cleaning the place out. I guess I’ll never know where he went, if he was looted after the storm (extremely unlikely) or if he just got tossed out as little more than a worthless toy (probably). The bed in my new apartment in 2005, a couple of months before Katrina. Frank the bunny is on the bed. I’ve mourned him for years. I know it sounds petty, but he meant something to me. Writing about it on the blog has been a big help, actually. But tonight, I saw the photo of him here on the blog, and thought – why don’t I try looking one more time? Of course, not for the real Frank, but for a replacement. And here’s what I found. So guess who just bought a $40 collector’s toy that will promptly be stripped naked and renamed Frank? I’m so ridiculously happy right now.